Too often, lately, I have heard lush, layered records only to feel dizzy and nauseous by the end. So-called chill wave has often been a culprit. The redundancies and piercing electronics of bands like Washed Out and Neon Indian annoy more than sooth these ears. Then you have cutesy retro bands like Cults: more high-pitched convolutedness. I found myself hard-pressed to find a decent record last year due to all the self-indulgent, shallow noise hyped by the taste-makers. 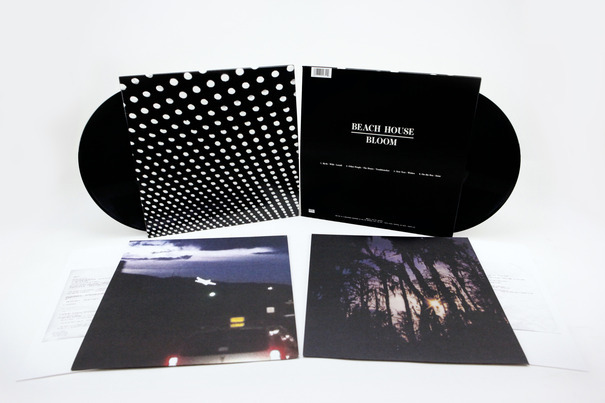 Then, this year, a brilliant, refreshing aural experience came along in the form of Bloom by Baltimore-based Beach House. The band has long been recognized for its do-no-wrong dream pop, a genre of music that emerged in the late eighties thanks to bands as divergent as the ethereal Cocteau Twins to the noisy My Bloody Valentine. But even those pioneering bands’ records often felt difficult to endure all the way through. Beach House’s fourth album further proves it has the know-how to balance layered, driving sounds with stark, spare musical moments with a delicate touch. Over two months ago, the band released “Myth” as a free stream and download on the Internet as a teaser to the new album. Singer/keyboardist Victoria Legrand called it a “gateway,” as it also opens the new album. A scratchy beat and the flat ding of a bell offers a deceptively simple opening for a few seconds until the trill of high-ranged keys on an organ, accompanied by Alex Scally’s equally athletic vibrato harmony on a steady-handed electric guitar, somersaults in to overtake the lead. Legrand’s voice joins in as the steady thud of Daniel Franz’ drums grow restless, pounding on in double time. With a booming, patient voice Legrand sings, “Drifting in and out/You see the road you’re on.” The second she sings the first note, a deep hum from the other end of an organ rumbles in accompaniment. Halfway through the song, Scally heralds a change in tone with the lethargic, resonant strum of his instrument like a wave blowing apart on the rocks of a craggy shore. Legrand sings strong and large with a slight echo effect decorating her voice turning the words only slightly unintelligible. Certain words are not completely clear, especially during the chorus. But that is the abstract charm of this record, begging the listener to fill in the gaps with his or her own hearing and interpretation. A few strums later, and the song returns to its driving form for a moment before closing out on ecstatic tremolo guitar work. “Wild” seems to have a similar construct, but the distinctions are in the details. It opens with a mysterious hiss and hum that could be the processed howl of an organ or the wind across the surface of the ocean. A stuffy, tinny beat appears before a swell of cymbals heralds Scally’s guitar, driving along in cascading licks that chime with a brilliance many might have heard in a song by the Cure. Legrand’s singing is more obscured, which rolls along like the shimmer of pulsing, undulating waves on the surface of the sea. It ends once again with Scally’s tremolo on the higher-end of the fret board. Legrand’s organ offers more of an ambient, drone effect— humming and shimmering chords below the ecstatic work of Scally and the pounding, deep, relentless beat by Franz. The third track, which already saw release as a 7-inch single for Record Store Day 2012, also arrives with a distinct, spare intro only to be coated in layers of luscious sounds. As a processed electronic pulse and melody is overtaken by swelling organ chords and the boom of Franz’ drum kit, Legrand’s voice finally does not even pretend to sing in English, just pulsing, soft sighs of “huhs.” It makes for another luscious moment, but this time missing Scally’s guitar for the first half of the song. However, his licks return as the song strips back its wall of organs, to bring back the canned electro opening, providing Scally space to offer a beautiful, if subdued gem of a moment on rolling, sliding guitar. “Like no other, you can’t be replaced,” Legrand sings repeatedly, as the song calmly heads towards its fade out. Three songs in, and the album has only offered a dynamism and familiarity that brings comfort instead of inducing nausea. 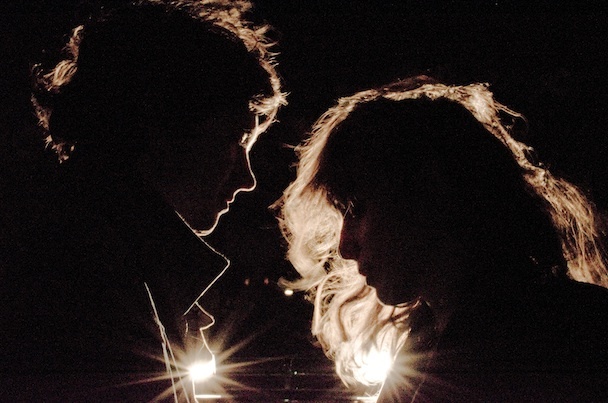 Beach House crafts songs with a patience and deliberation that highlights and celebrates the players’ talents without sacrificing the entirety of the experience. Bloom never seems to falter, offering one aural treat after another. “The Hours” features a standout hook: a duel between Legrand’s pulsing organ and Scally’s patient slide guitar. Thrown in here and there throughout the album are subtle field recordings. The distant sound of kids on the beach and whispers of “something” or nothing at all open “the Hours.” The sound of cicadas often heard in exterior scenes of Japanese movies appears to cap off “Troublemaker” before disappearing with an odd whistle to make way for the chiming guitar and sighing voices of “New Year.” These are genius little moments that break up the coldness of the interior of a studio or, worse, the zeros and ones of a computer file. Bloom is the sound of nature and the musicians clearly understand their humble roles as channels to the sublime power of music. The crowning achievement arrives during the trio (or quartet?) of tracks that cap off the album. “Wishes” opens on a soft, spare beat, like many of Bloom’s tracks. The band layers on the melodies with patience: the swell of a high-pitched organ chord, the patter of a canned rhythm track, the noodle of keys, the loop of a guitar line. Chords from sighing organs build as the voices pile up and overlap. Even a masculine voice appears to harmonize for a bit. Scally’s guitar detours into a driving, Gothic hook, pauses a moment to allow Legrand space to sing the chorus and returns with a high-pitched tremolo. The song turns back to its driving layers of melody, and there is a distinct pause for silence after the fade out. “On the Sea” takes the album into a maintained, spare melody unheard of in quality until now. It fades in like a light gradually illuminating the darkness. Only a ringing guitar and sprightly piano melody bound along as Legrand sings, “Out on the sea we’d be forgiven…” Franz offers a persistent thump on the bass drum like the click of a metronome. The only intricate rhythm is the persistent melody of piano and guitar. A minute in and Scally’s tremolo work breaks it down and another shimmering hum emerges subtly from the depths. The song becomes steadily ecstatic as the twirls of minimal, airy organs build like the persistent repetition of the music of Philip Glass. Legrand’s voice is almost operatic as the music swells and then eases back to the same, spare opening. It fades to give way to the rumble of what again sounds like the wind slicing across the surface of the sea. The hiss continues as “Irene” starts forming on the swelling hum of what sounds like the deep rumble of a Farfisa or Harmonium organ. An old, canned scratchy beat appears as the minimalist pulse of a guitar persists in a dynamic pull and tug, as if waiting to explode only to recede again. There is a little climb to bright melody before a detour back to the minor-key tug-of-war of dynamics. “Irene” seems to expand and reduce in dynamics until the layers of melodies pause, allowing Scally to explore every stroke of his electric guitar. He repeats and repeats and repeats each stroke. Every lash is a growing mark of anticipation toward the edge of climax. “It’s a strange paradise,” sighs Legrand, as other layers of equally repetitive melodies emerge and coat each other, unfolding in a patient, droney jam session of swelling organs, intricate guitar lines and splashing crashes of cymbals. As the sound expands on each refrain with Scally’s vicious tremolo, Legrand slowly and rhythmically repeats: “It’s a strange paradise.” The band seems to delight in exploring a simple groove that grows more entrancing with each refrain. It grows over the final two-and-a-half minutes of the six-and-a-half minute song to peter off suddenly in one last quiver of tremolo that echoes away into a fade out. The finale of “Irene” is so ecstatic that the band grants the listener seven minutes of silence before a little tape hiss arrives to apply the bandage after the aural gutting from such a din of ecstasy. A steady tap of a drum beat fades in, and the quiet quaver of guitar accompanied by the high-pitched pulse of an organ emerge. Legrand’s voice bounces rapidly from speaker to speaker in an enhanced stereophonic effect distinctive from the other songs on Bloom. This hidden track is spare but seems to come from another dimension. 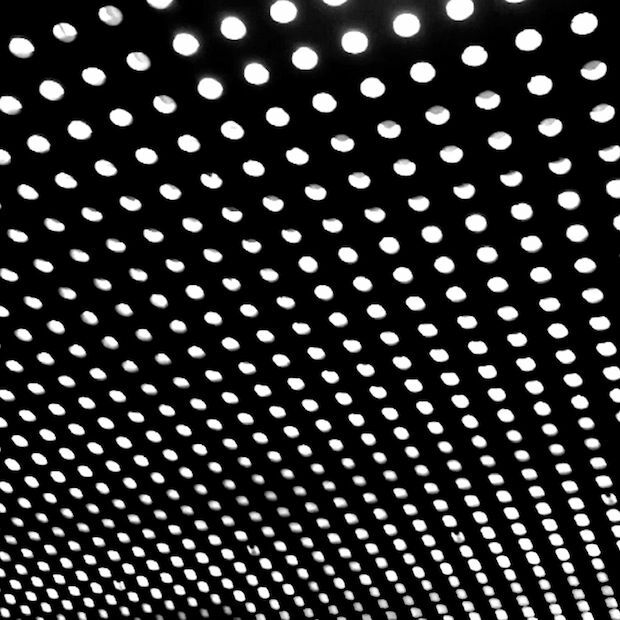 It offers a quiet moment of relief at the end of one of Beach House’s grandest accomplishments. It has been a couple of years since this listener has heard an album that offered as complete a listening experience as Bloom. Miami area tie-in: Local Miami-based indie record shop Sweat Records will host “The Bloom Happy Hour Release Party,” on the album’s official release date, this Tuesday, May 15, from 5 to 7 p.m. They will offer complimentary drinks for those 21 and over whilst playing the CD in its entirety. Attendees can also expect special prizes from Sub Pop Records. (Note: Sub Pop supplied an advance copy of Bloom in early April for the purpose of this review and the linked interviews with Legrand).